It’s been a while, but our new album, Dead and Gone, comes out on Sept. 28, 2018. Digital distributed by Zunior, it will be available on all the usual streaming/download services. We’ve got a release party in Toronto on Saturday, Sept. 29 in our neighbourhood at Dora Keogh’s on Danforth. Afterwards we’re playing sporadic shows in Oct/Nov including Prince Edward County and a few house shows in the Halifax area. Stay tuned for more updates. Check out our first original holiday song, as part of the latest Zunior Christmas album in support of The Daily Bread Food Bank. We’ve both been pretty busy with artistic endeavors of the 2-D kind lately, but it’s always a shot in the arm to hear that people liked our last show! 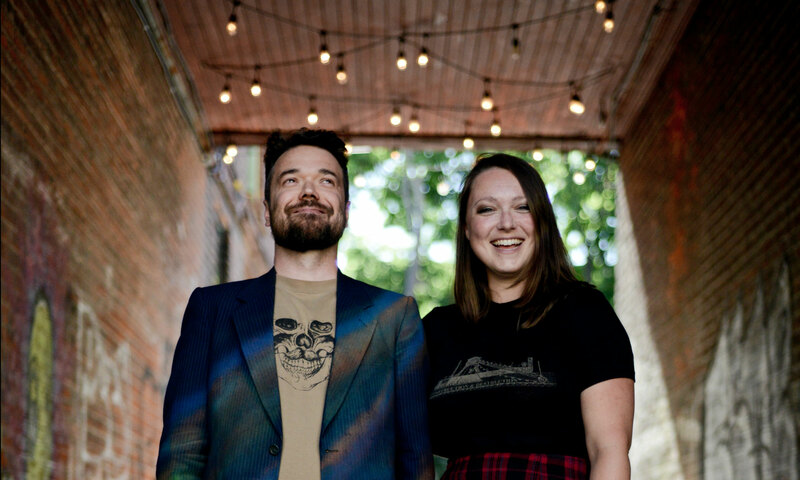 In this case, Deanna Danger wrote a very flattering review of our set at The Silver Dollar on July 21 as part of the Music Maul CD release party (with The Leonids, who were fantastic). Not to mention her enjoyment of our cover of Robyn’s “Dancing On My Own,” a song we tried for the first time that night when I called an audible in the middle of the set, much to Laura’s dismay. We’re hoping to set up a few more shows in the coming months so stay tuned for lots of updates. We haven’t played an acoustic show in a very, very long time. It will be nice to get away from all the toys for a couple sets (not to mention break out our Hall & Oates cover!). 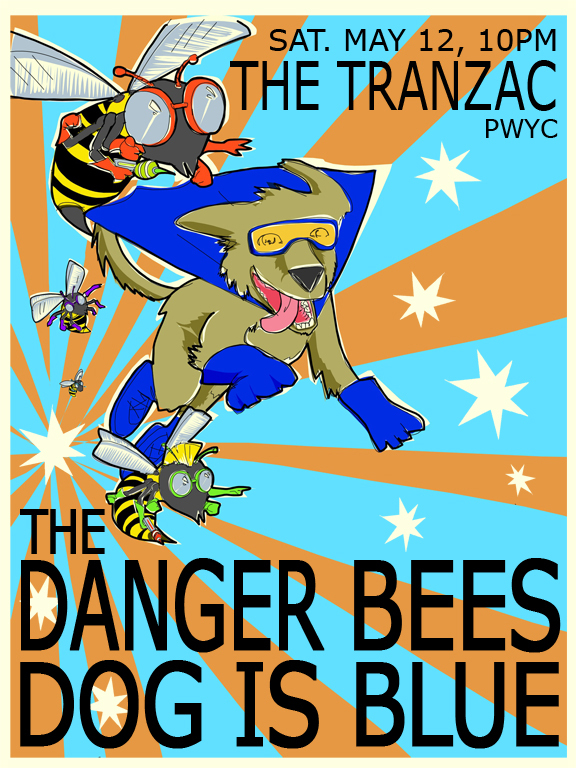 It’s been a while since we hit played at The Tranzac and even longer since seeing The Danger Bees, so this will be awesome. After a year of recording and writing at our “Old Red Rug Studio,” named for obvious reasons, we’re closing the doors. It’s been great to have a dedicated space to work on new material and build fun pedals—Laura also had her own art room—but we’ve got our eyes on a bigger prize that will require putting all our pennies together for a while. The good news is, Dog Is Blue is a two-piece that lives together, so rehearsal/writing is as easy as turning off Game of Thrones (which is actually really hard to do) and turning on the amps. If nothing else I just wanted to share the above photo so you know just how much stuff we’re going to try and fit into our apartment! 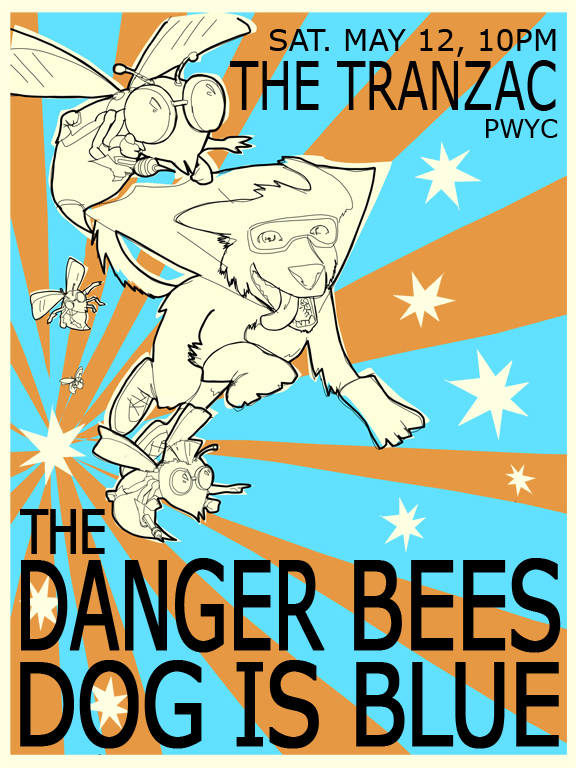 Here’s a tease of an idea we’ve been toying with lately—custom Dog Is Blue fuzz pedals! They’ll be really small in size, but big in destructive fuzz sound. The photo to the left shows the initial prototype circuit boards we had fabricated that even include our band name (that’s limited to first few pedals only)! More details to come, but just like the limited run of custom paintings we sold after …Makes Ghost Noises came out, these would be available at shows with download codes for Tortoise (and maybe more). We’re at The Central in Toronto on Thursday night! It’s going to be awesome. Expect some new pedals, a few ukulele appearances and a new Replacements cover! We’re on at 8:15pm. I know I posted last week about how close this video was to being done, but I really mean it this time. Seriously, I can taste it! After over 2 months of animating on my iPad using Animation Creator HD our video for “People” is literally frames away from being finished! Would you believe I actually overshot the frame count and have been carefully cutting all week? All I’ve got to do now is add the big finish! …Also, sadly, rumours of a Batman cameo have been greatly exaggerated. Animated iPad Music Video Coming Soon! If you follow us on Twitter or pay attention to our inter-band/marital disputes on Facebook then you might have heard that I’m working on a 1600 frame animated music video for “People” done completely on my iPad 2 using the Animation Creator HD app. I’m only a few hundred frames away! Here are a few stills from this lo-fi magnum-opus that I hope to have finished soon. That cute little stud is yours truly (Laura’s a lucky girl….) and I’m putting him through all kinds of zany stream-of-consciousness situations. Suffice to say this video has been consuming most of my waking hours for the past few months (aside from semi-aborted attempts at a Replacements cover—more to come on that). We’re hoping to bulk up our Youtube channel with a few other videos too (not to mention a gazillion more pedal demos for all my fellow gear-heads). Stay tuned!